Bugs are everywhere this time of year and children are fascinated by these little critters. Here’s a simple song to sing to the tune of “Head, Shoulders, Knees, and Toes” where children can learn the basic body parts of insects. 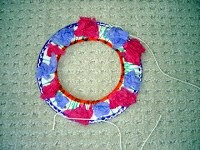 Bug Hunt – Give children pipe cleaners that they can twist into a magnifying glass shape. Let them use these to hunt for bugs on the playground. *They could also use clipboards to draw insects that they find outside. Entomologist – Explain that an entomologist is a person who studies insects. Brainstorm different ways that they can study insects, such as checking out books at the library, looking on the internet, and so forth. Roll a Bug – Remember the old game “Cooty Bug”? Here’s a similar game your children can play where they roll the dice to make their own bugs. So, have I sparked your interest in insects or just “bugged” you? Carolyn Kisloski (ckisloski.blogspot.com) and I have created a unit called “Bugs and Insects.” There are 40 pages (QR Codes, Prezis, children's books, writing prompts) of hands-on activities and games that will help you STEAM ahead. Where did April go? Can you believe tomorrow is May 1st? Carolyn and I have a BIG, FREE, FANTASTIC surprise for you tomorrow. Hurry back! Some of you only have a few days left of school, but some of you have weeks to go. The end of the school year should be like "dessert" with lots of sweet memories. Finish those tests and let's party and celebrate with one of these special days! Carrie Tibetts shared this brilliant idea last week when I was in Austin. First, children get to choose a "vacation location." This is any special place they like in the classroom. If a child needs a break they can "take a vacation" and go to their quiet spot. 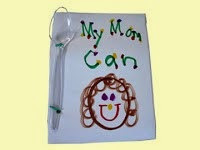 You will need a pocket folder for each child for this summer writing activity. Remind the children what wonderful writers they have become and how important it is for them to keep writing over the summer. Explain that many famous writers started keeping diaries and journals just like them when they were young. Motivate them to make their own “Summer Fun Journal” so they can record all the special things they will be doing over the summer. Provide the children with markers, crayons, construction paper, and other art media to decorate the front of their pocket folders. (You might suggest they title it “Summer Fun.”) Run off copies with the attached writing prompts or create your own based on the interests of your students. You might even want to ask your class to brainstorm topics for these journals. Hint! Be sure and include some blank paper at the end. 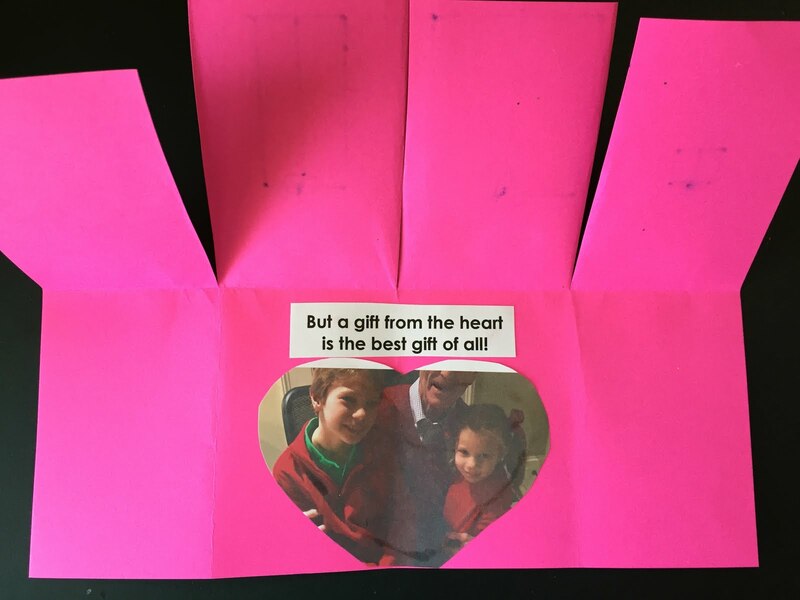 *Encourage students to add photos, brochures, or other special keepsakes. *Add a line for the date on each page. *Tell your students you’d love to see their journals when the come back for the new school year. 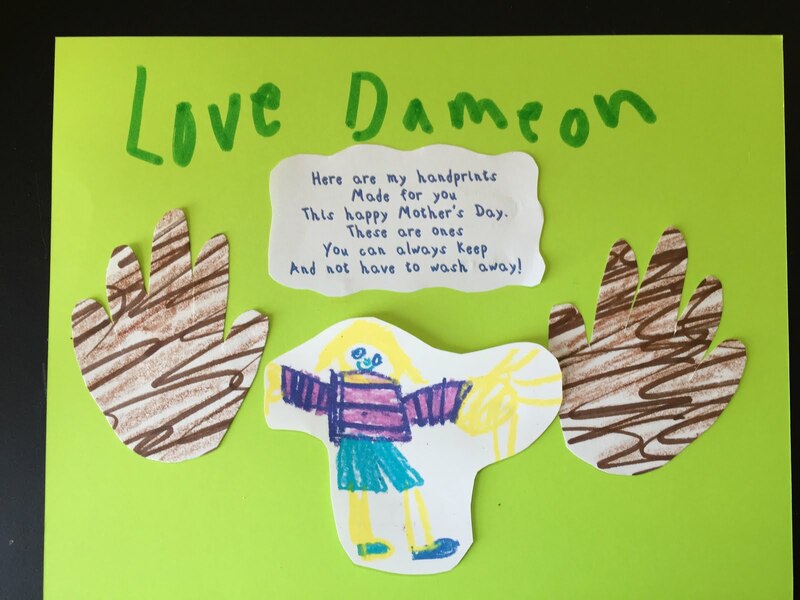 *For younger children encourage parents to have their children illustrate the topic and then dictate sentences for their parents to write. Here are some summer writing prompts. Reading is like anything else. The more you do it, the better you will become. 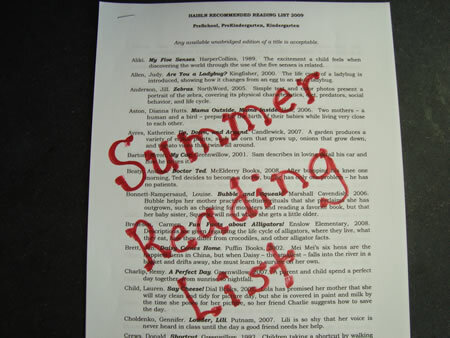 Here are a few ideas to get children started on a summer reading adventure. 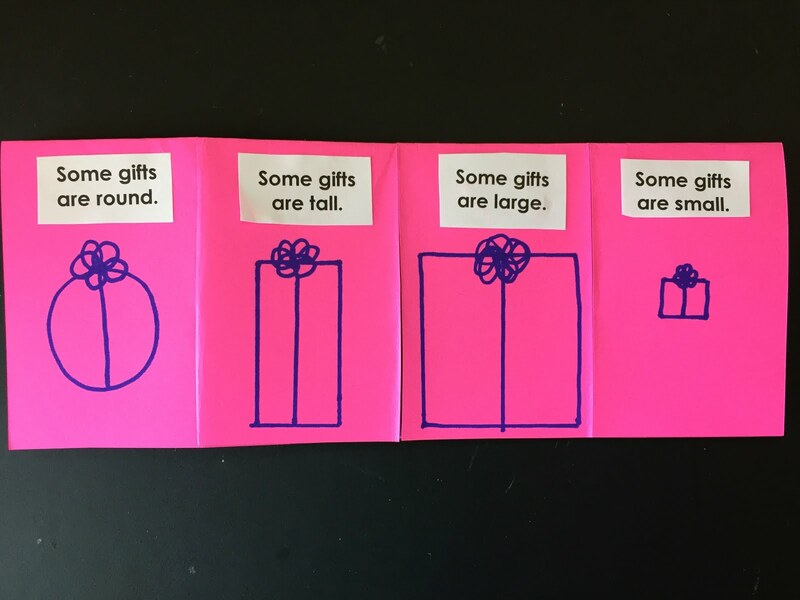 Library Card – What better gift can you give your students at the end of the year than a library card? Take a field trip to your local library or ask the children’s librarian to visit your school and describe all their summer reading activities. Summer Reading List – It’s easy to do an internet search and find a suggested reading list for your grade level. Parents would probably appreciate this when helping their child choose books to read over the summer. Postcards – Cut card stock the size of a postcard. 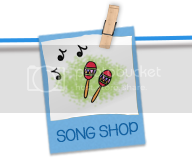 Let children decorate one side with markers or crayons. On the reverse side draw a line down the middle. Have the children write the teacher’s name on one half. 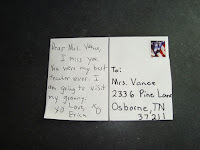 Explain that if they send you the postcard over the summer and write you a note that you will write back to them. 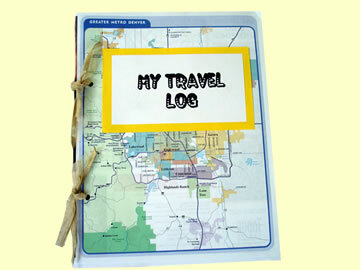 Journals - Make travel brochures for children to write in over the summer. Last weekend was WONDERFUL in WINONA, MN! What a beautiful town amongst Minnesota's lakes, and what incredible teachers!!! I will always treasure the beautiful quilt that Nancy Nelson made me! As summer approaches, I know you’re brainstorming ways to encourage children to read, write, and practice skills over their summer vacation. 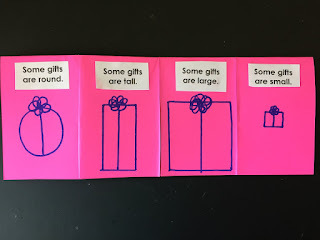 Here are three projects that may encourage your students to continue to practice sight words. Note! You can adapt these activities to letters, math facts, or other skills you want the children to master. Ask parents to send in empty mint cans. Cut paper into 1 ¾” by 3” rectangles. Have children write sight words on these rectangles and store them their containers. Hint! Explain that lifetime words are words you will need to be able to read all your life. They are like a “treasure” because they will belong to you forever!!! Make wallets from construction paper. 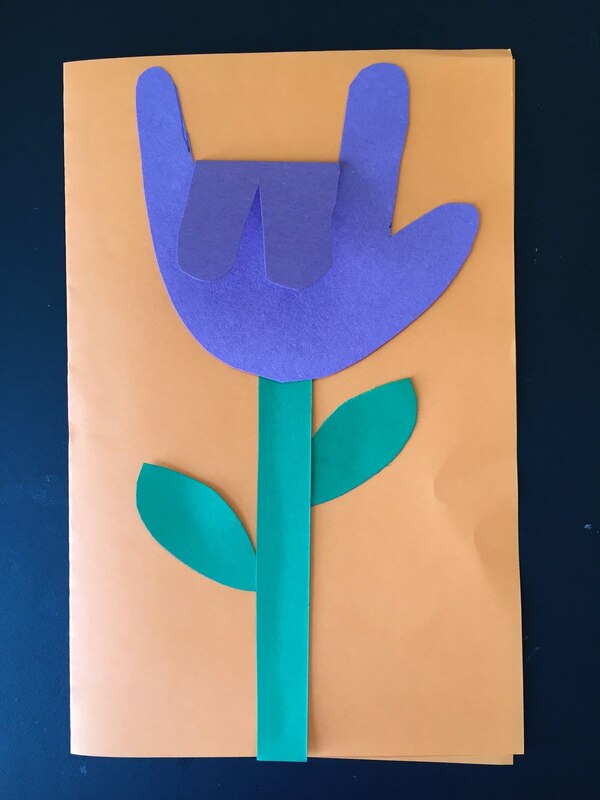 Lay the paper horizontally and fold up the bottom to 1” from the top. Fold in half. Glue the sides. Decorate with markers and stickers. Cut green paper into rectangles 4” x 2.” These are your “dollars” for your wallet. Children can write their words on the dollars and “save” them in their wallets. Seal envelopes and cut in half. Cut down 1” from each side and fold down the flap as shown. Punch holes in the sides and tie on a piece of string or yarn. 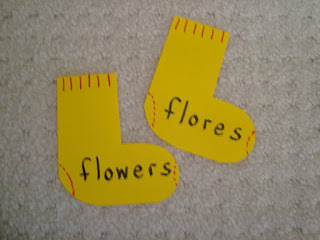 Give children strips of paper cut 2 1/2” x 4” on which to write their sight words. 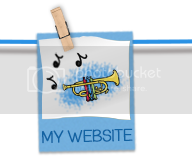 Students can take the words home in their little pockets for summertime practice. 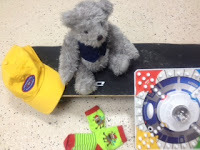 How about some games parents and children can play with the flashcards? Hide the words around the room. Children find them one at a time, bring them to you, and read them. Children choose a word and use it in a sentence. *Older students could write a sentence. Children practice writing words with chalk on the sidewalk. Put all the one letter words together, two letter words, three letter words, and so forth. Sort the nouns and verbs. Sort the words by syllables. Can you find the words in a book? Can you find them printed on food labels or other things around the house? sightwords.com is a website I'd definitely recommend to parents. It's a good free resource for games and activities based on grade level expectations. LET'S GET THEM WOUND UP! Just kidding! Here are a few ideas to help children calm down when they are over excited. Many of you are testing now, and these activities might be good to help them focus before the test or they could be used as a break in between tests. Hint! Those "finger neurobics" that K.J. 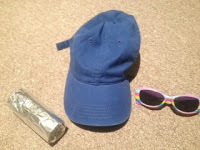 demonstrated on my blog on March 29th would also be an excellent way to calm children. Mother's Day is two weeks from today, so let's start making memories with one of these ideas. This time of year many of you are stressing out over your “end of the year” program. Listen, no matter what their kids do, the parents will be thrilled and think they are wonderful. So keep it fun this year with these simple ideas. I was cleaning out my “teacher” closet yesterday and I found two old books I just had to share with you. Cut two large fish shapes out of blue construction paper for the front and back cover of your book. Cut white paper to fit inside the book. 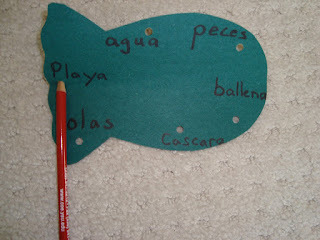 Tell the children that they can help you make a “Rainbow Fish” by gluing their wrappers on the fish shape. Next, give each child a sheet of white paper so they can write/draw how to be a friend. Put their pages in the book and bind. 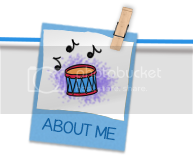 You can also add a page for “authors and illustrators” where they sign their names. Read the book and discuss all the great ways to be a kind friend. 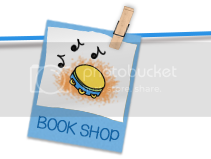 Place the book in your classroom library or let one child take it home each evening to share with their families. This is a book that I made several years ago about Charleston. Although you might not live here, it's an idea that you could adapt for your school, city, or state. You could also tie in your state flower, tree, bird, etc. You will need construction paper and photos of your city, school, state symbols, and so forth. 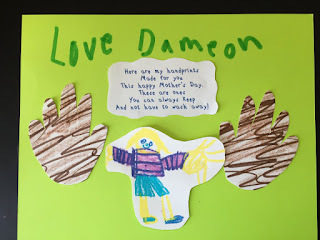 I used a rhyme similar to “Brown Bear” for each page. Charleston, Charleston, what do you see? “I LOVE IT!” said she. April 21st really is Kindergarten Day, and as a way of remembering how kindergarten used to be I have recorded this song for you! Many of you remember being in a kindergarten similar to the one I sung about. Some of you might even have been lucky enough like me to teach during that magical time. We can't hold back the ocean, but we can remember to try and "squeeze" in a song, game, and creative activity every day! Read stories, play with blocks, and play pretend. We sang and we held hands and we danced in kindergarten! Worksheets were forbidden until first grade. And played outside a lot! Cooking, parties, sandboxes, and swings. We never had discipline problems. And did our administrators and parents love us? 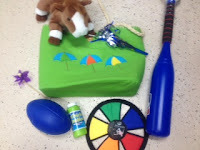 We made learning like play with games and centers. And they all learned just the same - in their own way. They felt special and worthy and capable! We didn’t have Smart boards or computers. We hugged, explored, and gave them time to dream. 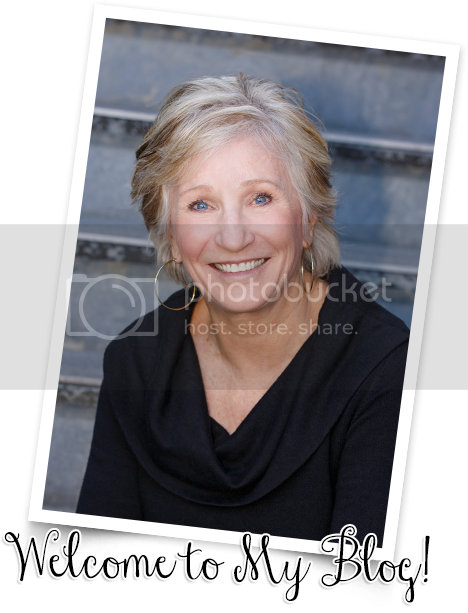 Janet Cantrell is my guest blogger today. She is a kindergarten teacher after my own heart! You're going to love her idea for "Home Skills" and encouraging children to learn how to tie shoes! Teaching kindergarten age children responsibility is one of the first lessons of school. To encourage responsibility for self needs, I start off the year letting them know that I do not tie their shoes. (I know it’s harsh and I do tie in an emergency.) They need to learn! The more I do for them they will not take the effort to learn for themselves. It is part of growing up. 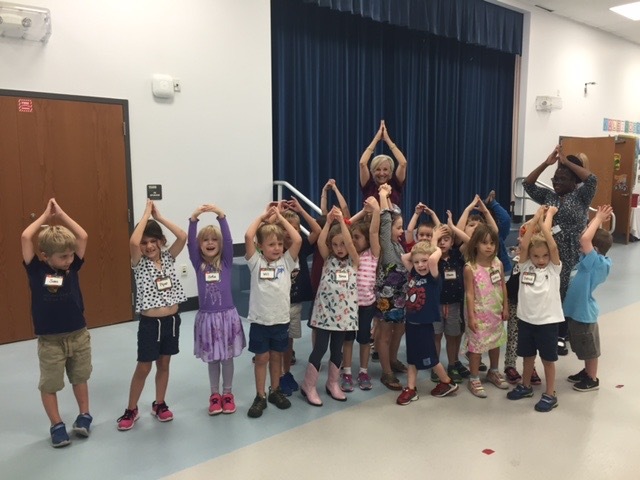 During our Parent Orientation meeting before school begins we remind our families about "Home Skills" kindergarten which includes tying and zipping, learning their address and phone number, etc. I keep a bag of “fancy” shoelaces on my rocking chair and occasionally after recess we will take a few minutes to practice tying with a partner who is a Tying Teacher. If the child wraps the lace around his/her thigh, they can see and work it easily rather than being all squished up tying on their shoe. To become a Tying Teacher, they must prove they can tie ‘one loop, around and through. The “two bunny ears method’ is a good start when you’re four before coming to school, but now it is important to learn the grown up way. It is interesting to find out that some adults only know the two loop method. When someone needs their shoes tied, a tying teacher can teach them not just tie them. 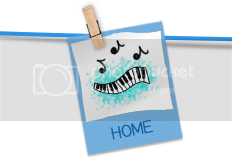 I send this note to families to practice at home. CHILDREN need to learn how to tie their own shoes. This is considered a HOME SKILL. Learn it at home! *A parent shared this little rhyme the she made up as she taught her children to tie. It could help! Try it. PRACTICE and LEARN how to tie! 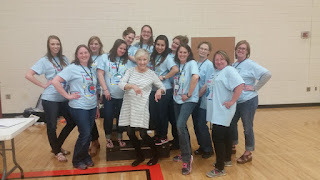 You can be a TYING TEACHER! 2 loop tying is the first effort many children learn. NOW advance to ‘around and through’ to be a Tying Teacher. When the children are successful at tying they also receive a Tying Teacher certificate. *Janet's email is janetnolandcantrell@yahoo.com if you'd like to contact her. Yes, it's important for children to know their phone number (home or cell) in case of an emergency. It's easy to learn phone numbers to the tune of "Michael Row Your Boat Ashore." Give it a try! Here are more center activities and games for learning a second language. Yep! You've seen them all before, but did you ever think about using them for practicing a second language? 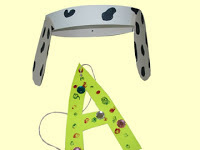 Cut puppies out of construction paper using the attached pattern. 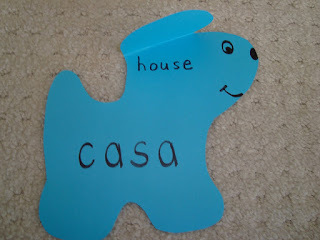 Write the word in Spanish on the body of the puppy. 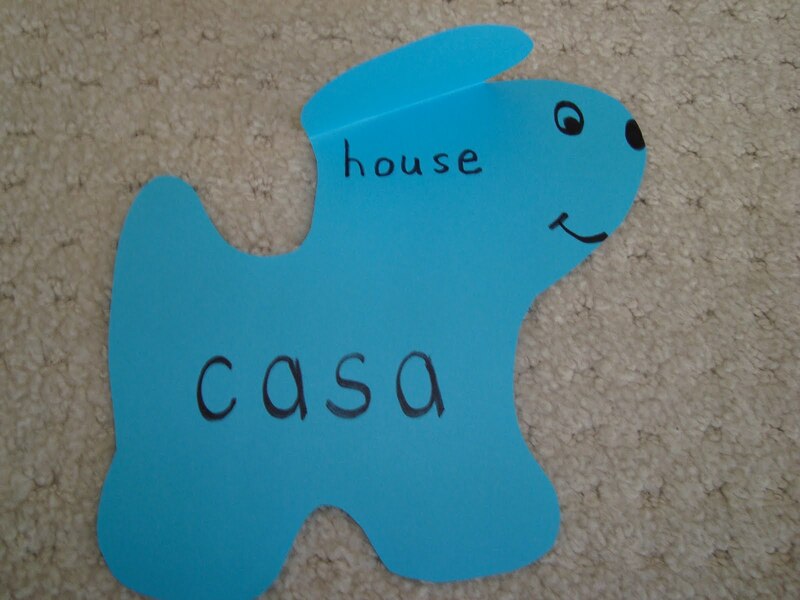 Fold down the ear and write the word in English under the ear. Children identify the word and then self-check by “peeking” under the ear. Cut matching socks out of construction paper. 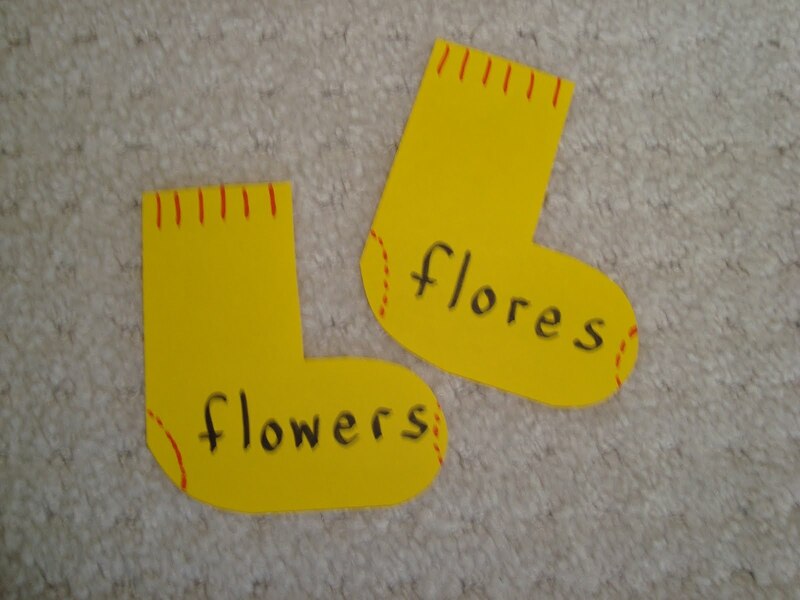 Write a word in English on one sock and the Spanish translation on another sock. Mix the socks up in a bag. Children find the matching socks and clothespin them together. Cut 4” circles out of poster board or fun foam. Write the word in Spanish on one side and the English translation on the other side. 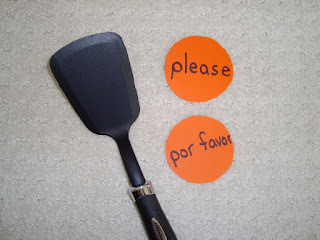 Children will need a pancake turner/spatula to play the game. Spread the circles on the table. Children read the word and translate. Then they flip over the circle to check their response on the back. You will need heavy cardboard cut in 5” x 8” rectangles. Cut notches in each of the long sides as shown. Write a word in Spanish by each notch on the left side. Write a word in English by each notch on the right side. 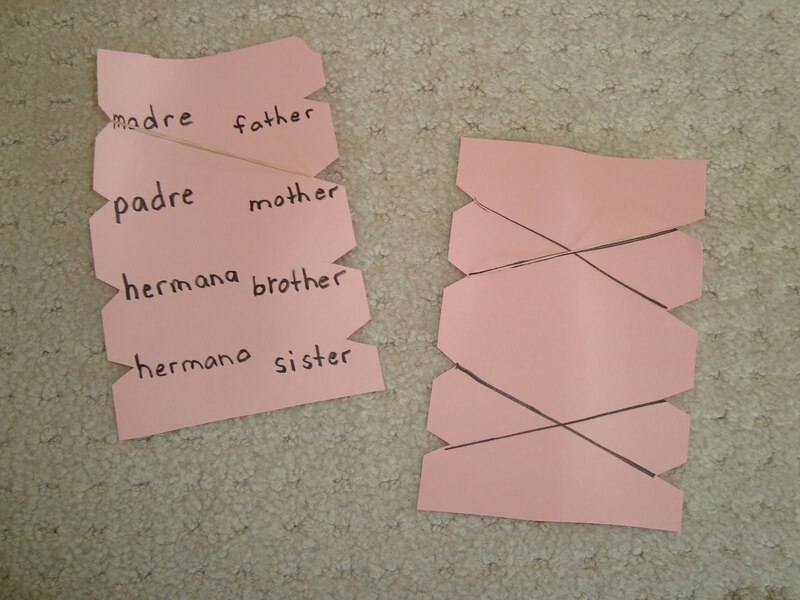 Children stretch rubber bands between matching words. 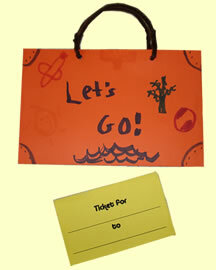 Draw lines between correct answers on the back so children can self-check. Cut simple shapes out of poster board (cars, animals, plants, etc.) Punch holes around the edge of the shape. Write a word in English by each hole on one side of the shape. On the reverse side write the word in Spanish by the appropriate hole. Children take a straw or pencil and insert it by a word. After translating the word, they flip the shape over and check their response on the back. Hint! Children could also play this game with a friend. Use 3” x 5” index cards to make this game. 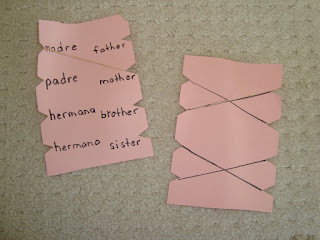 Write a word in English on one card and the corresponding word in Spanish on another card. Place the card face down on a table. Children take turns choosing two cards at a time and trying to match up words. RISE AND SHINE IT'S APRIL!! !